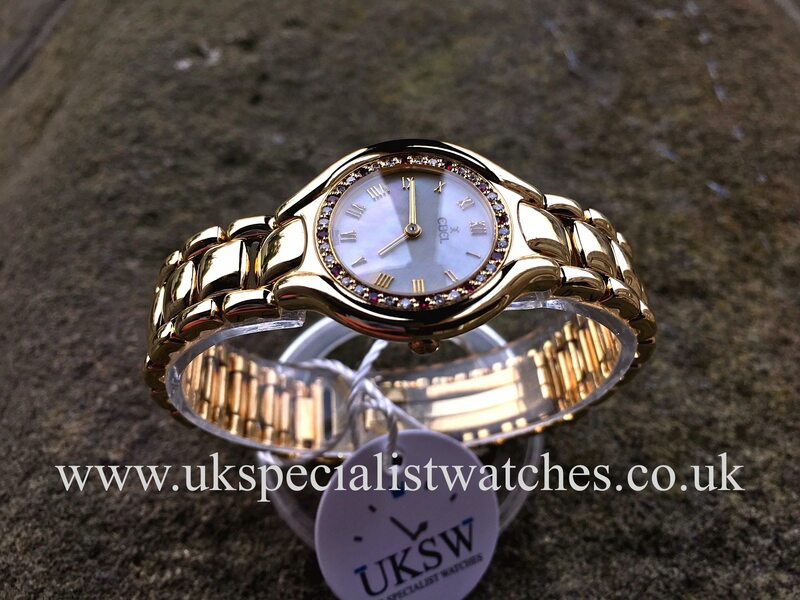 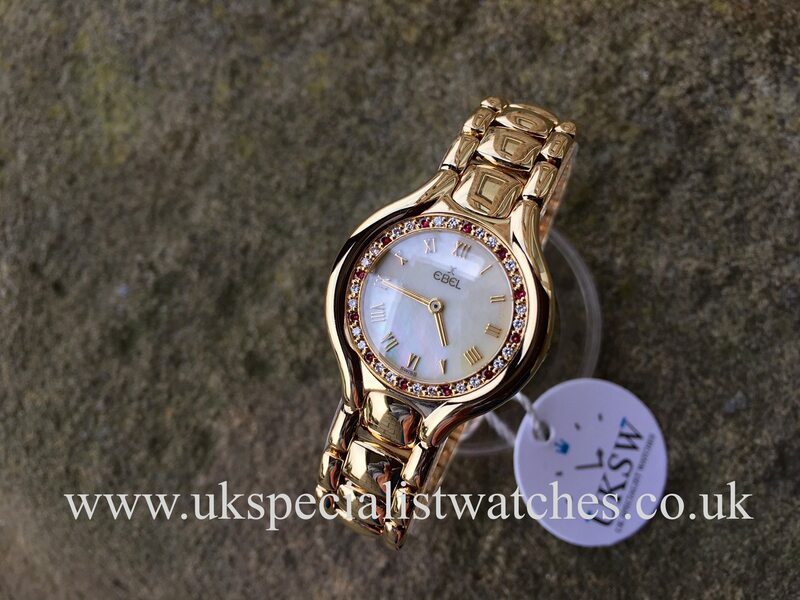 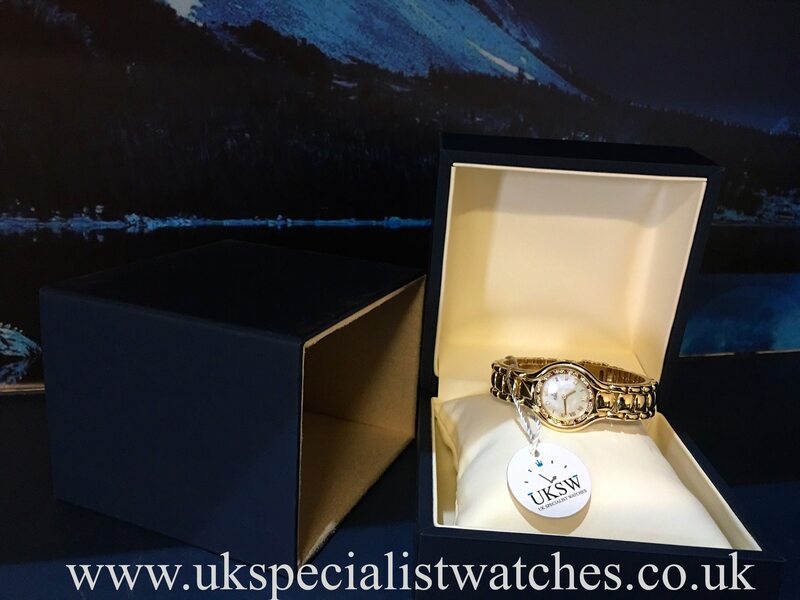 Ladies Ebel Beluga in solid 18ct yellow gold with a 27mm case. 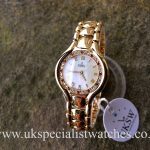 Stunning mother of pearl dial with gold hands and gold Roman numerals. 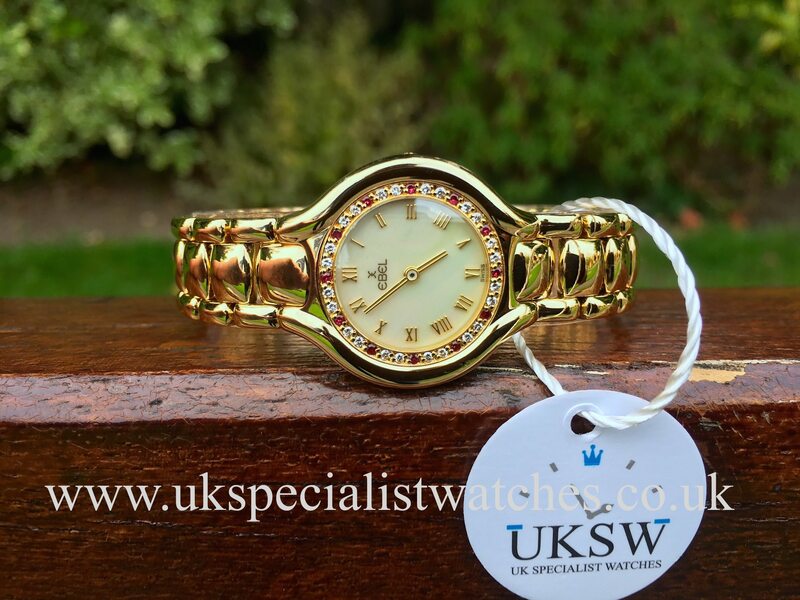 Rare factory diamond and ruby bezel. 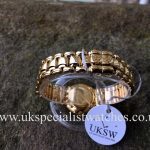 Fitted to a solid link 18ct gold bracelet with double folding clasp. 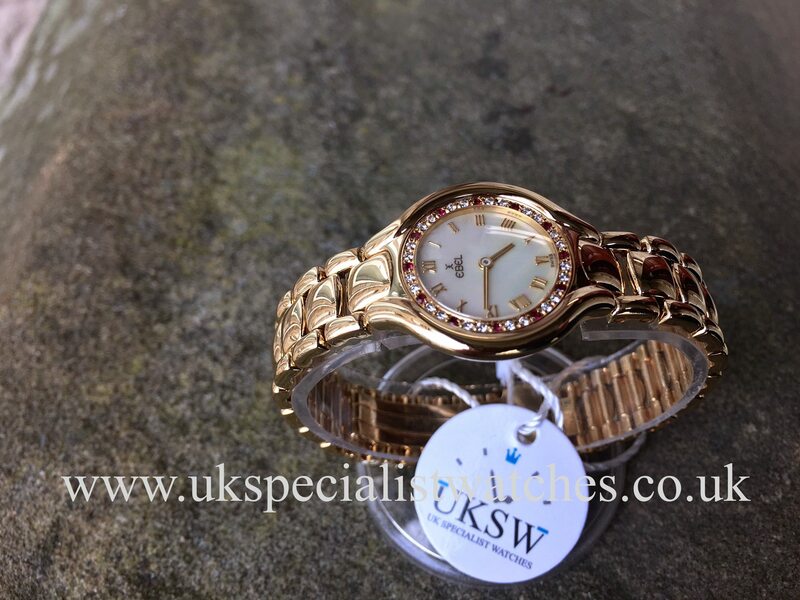 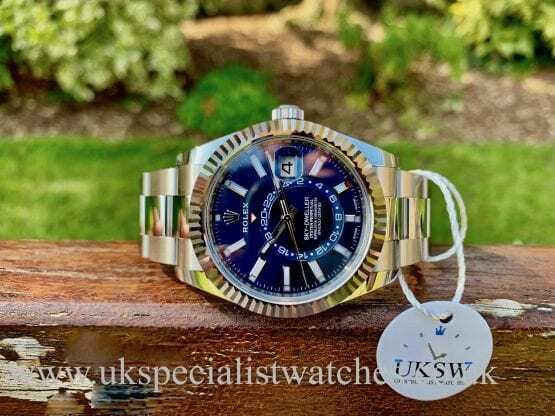 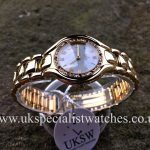 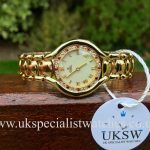 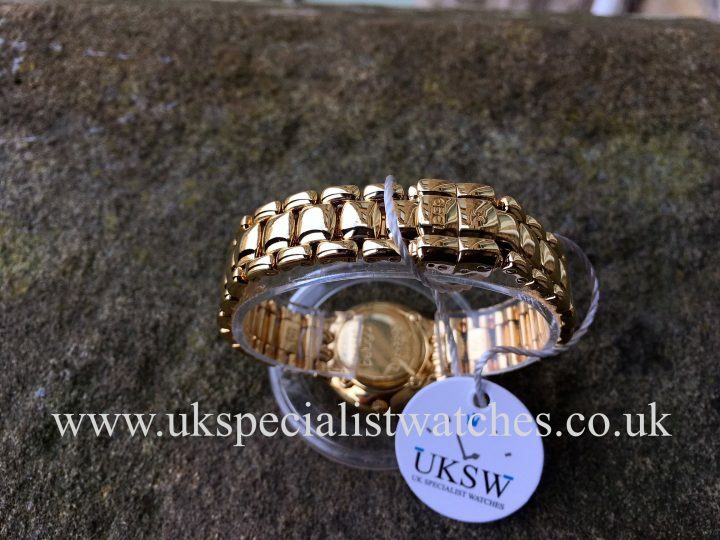 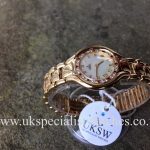 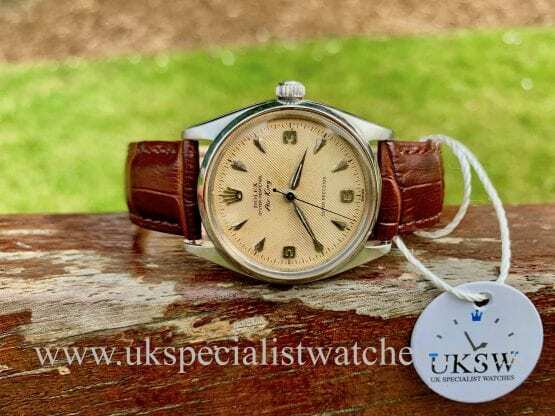 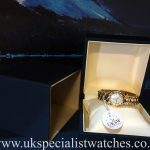 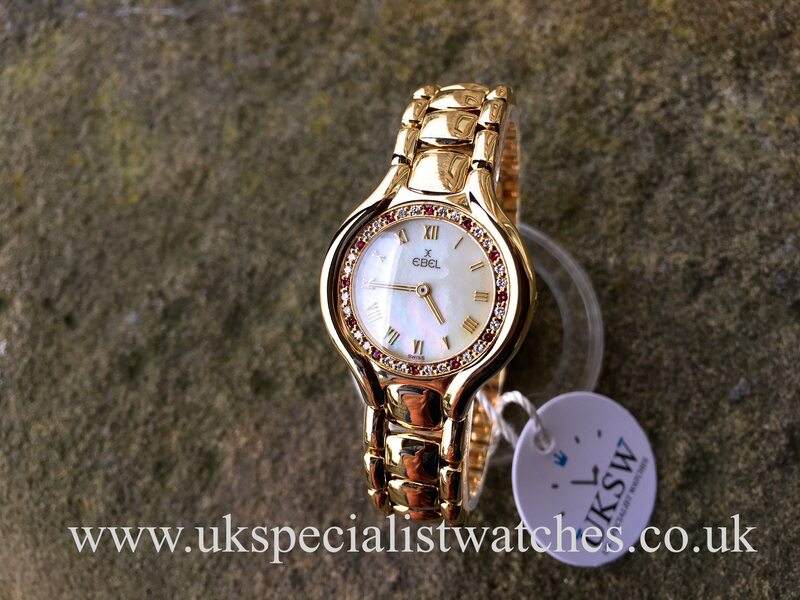 This watch is in totally immaculate and virtually unworn! 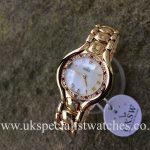 Circa 2001.